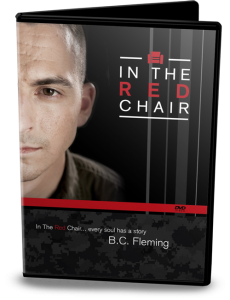 Brian Fleming knows what it takes to quickly adapt to rapidly changing situations in one of the most high pressure, extreme environments imaginable: WAR. 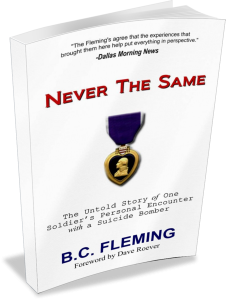 Hailed by USA Today as “Having a message that includes a survivor’s defiant humor,” Brian Fleming knows how to develop highly-resilient, mentally tough people who can quickly adapt and succeed under pressure. These same challenges exist in the business world: industries shift, leaders burn out, customer behaviors change, markets get disrupted and if you can’t adapt quickly your entire organization is in danger. In his inspiring, ‘down-to-earth’ keynote presentations, Brian shares his incredible, real-life survival story and experiences operating in the world’s most challenging environment- War, and how he overcame his challenges after a suicide bomber exploded 3-feet away from him in Kandahar. 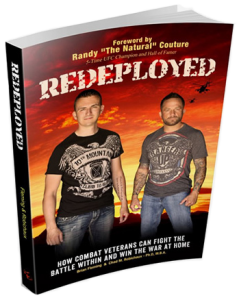 Brian’s experiences of leading men in combat uniquely qualify him to teach people how to keep going when they feel like quitting, how to win under pressure, and overcome unexpected challenges. His mastery of these skills can help your people win under pressure in high-risk, time-sensitive situations. 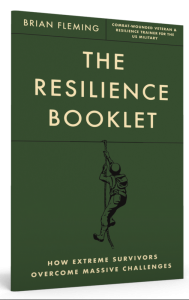 Brian Fleming’s practical message about Resilient Leadership and Developing a Culture of Resilience is based on his real-life experience in the world’s most elite leadership organization: The US Military. The processes of identifying a common mission, uniting team members, and empowering people to endure and win together help businesses Overcome Tough Transitions while becoming High-Performance Organizations. This message resonates with a diverse variety of audiences at every level of a company. Brian has been requested by and spoken for, some of the top Fortune 100 companies. His down-to-earth communication style, combined with his knowledge and real-life experience in succeeding through high-stress situations, allows him to relate to members of an audience of any size and has made him a highly sought after speaker and consultant. Brian Fleming is a leading authority in the realm of Developing Resilient Leaders & Highly Resilient Cultures that directly impacts the bottom line of a company. His experience transitioning successfully from the military to civilian world allows him to deliver insights and guidance from a credible platform on Optimizing Strengths and Performance of Military Veterans in the workplace. Brian has delivered his resilience & leadership experience for over a decade to companies like Bank of America, Raytheon, Lockheed Martin, Blue Cross Blue Shield, Chevrolet, and hundreds of others. 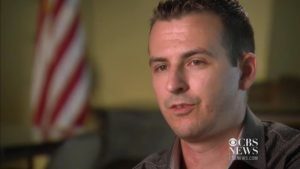 Brian is the author of 3 books on Human Resilience, is hired regularly by the US Military to conduct Resilience Training for deploying & returning troops, he has been featured on every news network in the United States on his topic, and has personally spoken to over 500,000 people in live audiences across 42 US states, in 7 countries, and on 4 continents. “How to Stand Firm When Everything Around You Is Blowing Up!” (Brian’s most popular keynote): In this talk, Brian shares not only his tragic, yet inspiring war story about being attacked by a suicide bomber, but also reveals the 3 common habits of the world’s most resilient people and how you and your audience can immediately apply them in life & business to overcome personal challenges, successfully adapt to unexpected change, and thrive under pressure. “The Resilient Leader – How to Become the Leader Others Want to Follow” Brian will teach your audience combat-proven “Resilience Strategies” based on centuries of warfare that all leaders, in any business, can immediately and practically apply to their organization in order to gain more respect and loyalty from those under them, while inspiring their subordinates to be more committed and productive every day. “Develop More Resilient, Winning Teams” Discover real military war strategies that will help your team accomplish its mission. Life and death scenarios are the ultimate test of a team’s ability to endure challenges and win, which is why military units have developed the best teamwork strategies and frameworks in the world- and now they’re available to you! In this talk, you’ll discover how to apply these same military strategies to your organization so you can win in the marketplace. Don’t reinvent the wheel. If you want your entire team to be on the same page, minimize internal conflict, and be more productive, simply use these time-tested war strategies that are already proven to work.